Sellier & Bellot has been producing ammunition sine 1825. 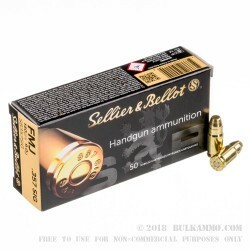 Founded in Prague by two Frenchmen, Sellier and Bellot has produced ammunition for various militaries, law enforcement and shooters. It has produced ammunition during both world wars, supplied the Communist Czechoslovakian Government, and has become public, joint-stock owned company after the fall of communism. Today Sellier and Bellot is well known for it’s high quality ammunition and excellent selection of cartridge chamberings. This Sellier and Bellot .357 SIG is designed for semi-automatic handguns. 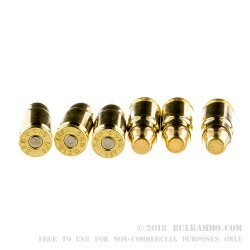 It is not compatible with .357 caliber revolvers. 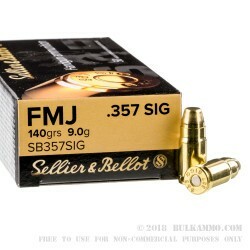 This FMJ .357 Sig is perfect for plinking, target shooting, and training. This ammunition is brand new production. 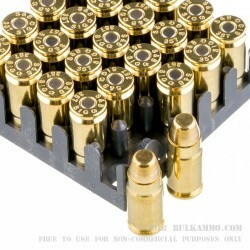 Ammunition is brass cased and boxer primed, fully reloadable.